When I was 14 I had to have surgery. I had another at 15, another at 17, two at 18 (one was for appendicitis), another at 20 and then countless other procedures in between (I was such a healthy teenager, ha!). The recovery times for each of these surgeries varied significantly, but for the most part they always involved some form of lying in bed for at least a couple of days. After my first surgery, my parents got me a bunch of DVDs and brought one of the TVs into my bedroom during my recovery. The only problem was, after the anesthetic I was too sleepy to be able to focus on anything other than music and staring at the ceiling. For my next surgery, my parents bought me a bunch of CD's and before I went into the hospital I printed out a selection of images and arranged them on my bedroom wall so I would easily be able to see them from my bed. These pictures would be of places I wanted to go around the world, vibrant cities, European villages, tropical beaches, the Northern Lights, rainforests ... they'd be pictures of places where in my mind I could escape to and pretend I was there instead of lying in bed trying not to pull the stitches in my stomach. These pictures would inspire me, I would create a world around me which could be completely different than the world I was living. As I started traveling around the world, I would buy postcards in each town, village, city or country I would visit. I stuck them all over my bedroom until I had each wall filled with pictures of places all over the world. Some could think I was obsessed with traveling. This is partly true, but primarily these pictures gave me inspiration. I could stare at these images and write an entire novel in my head (let's face it, I had plenty of time up my sleeve!). It was a really good way to exercise my brain and to stretch my creativity beyond what I thought I was capable. Many of those ideas have never seen the light of day, however the WIP I'm currently working on is a product of one little idea that came to me during one of those recovery periods. The story was never formulated in my head, but I had this image of a girl, and her surroundings were so curious and interesting... and she looked slightly different than most people I know. I think only one scene played out in my head, but that scene stuck with me, and all these years later I am finally telling her story. Now, whenever I go to write I think of those images, or I ask Google to give me some more inspiration, and those images will help create my story. In my WIP my mc totally does the same thing with pictures of places she wants to travel! I have to confess that's a reflection of me. While I don't have pics up on my wall, I'd love to travel but haven't really had the chance other than in Canada & the US. That's so cool you find inspiration in those pictures for writing and that you've been able to visit some of those places in real life! That's awesome! I find it a really good way to make dreams a reality too. I remember one of my pictures was of the Acropolis in Athens. Within 12 months I had a picture of me standing in front of the Acropolis. 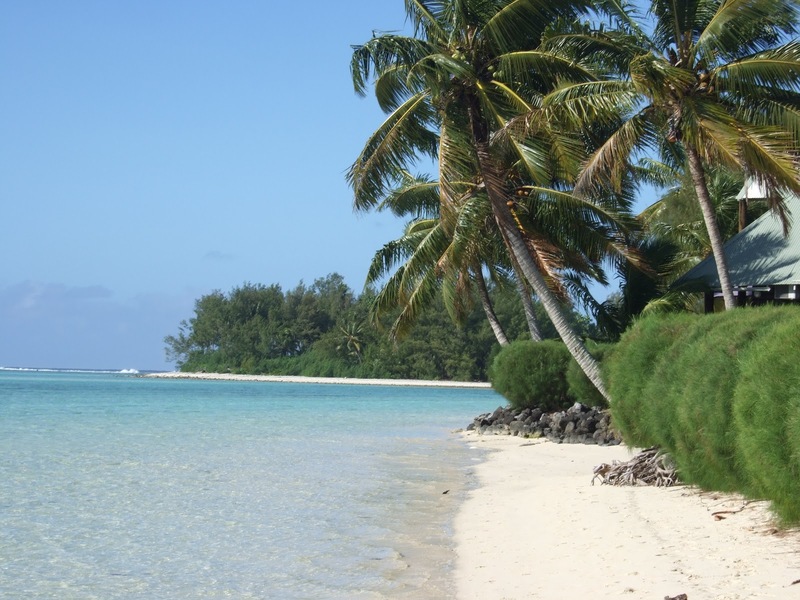 I did the same thing for my trip to Rarotonga as well - that time was even better as I managed to convince my whole family to come along! You should make a travel bucket list, writing down the places you want to travel might convince you to start making plans! The possibilities are limitless and you never know the types of inspiration that might come from it! I think it's great that you managed to find ways to occupy your mind during all of that down time. It would be so easy to just veg and do nothing, but you actually turned it into something positive and productive. :) I love looking at photography, especially of places that would be great to visit! Thanks! It was definitely a way to avoid being too bored, that's for sure! I love photography as well. When I traveled with my family as a kid I would always buy books of photographs of the area we were visiting so I could keep looking through them. There are some beautiful places on this earth! Look at that lush landscape! That's perfect for a mental escape, and could definitely inspire some stunning scenery in a book. It's great that you were able to turn a negative into a positive and get ideas for the places you wanted to see. Beautiful isn't it?! It seems so perfect, I could surround myself in it for months! In an ideal world I would have a little cabin in amongst one of these settings where I would escape to for some quiet time and to write! Thanks for your comment!